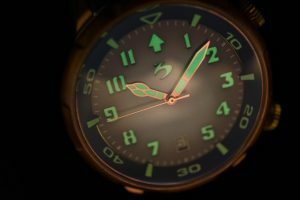 Dive watch and pilot watch in one? Yes please and thank you Scuro! Pilot watch, check. Dive watch, check. This combination is known as the Bronzo. 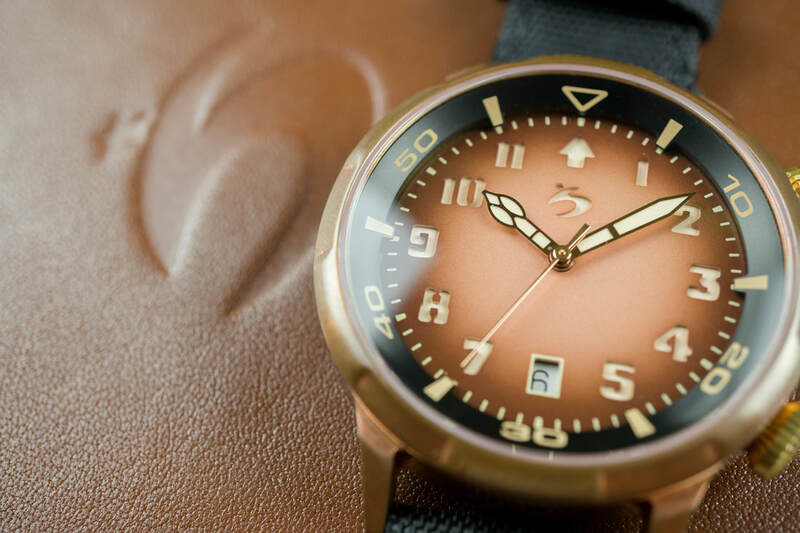 Imagine part pilot, part diver with a very interesting patina on the case from the bronze metal used. 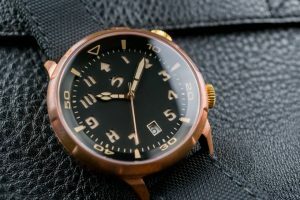 Scuro is a brand from Malaysia and their most recent effort is a bronze hybrid featuring pilot and diver functionality. They have a few other watches under their belt, so they aren’t new to horology. However, their sales model involves Kickstarter and the Bronzo is already funded! Don’t worry, you can still get a great deal before the campaign ends. Case size is a nice 42mm, lug to lug 50mm, which is complimented by an internal bezel. The domed sapphire glass with AR coating brings the thickness to only 13mm. The low profile movement really helps keep this down to 13mm. The watch features a 24 jewel Miyota (Citizen) 9015 automatic and hand wound movement. This movement is accurate within about 15 seconds a day, has hacking capability and features a 28,800 bph for a nice smooth sweep. 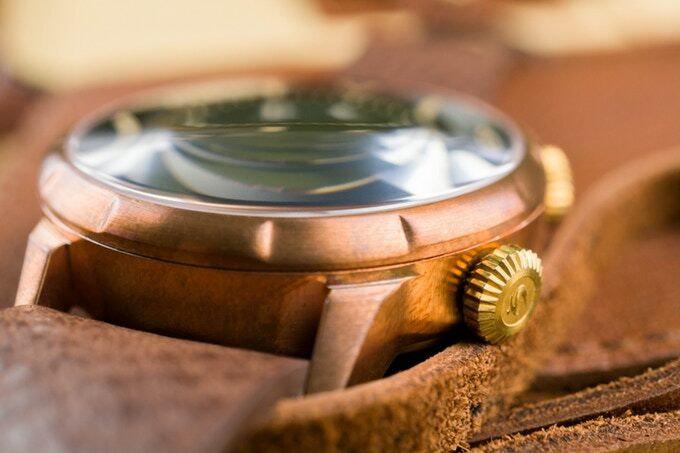 The Bronzo has the date complication at the 6:00 position. Lastly, it boasts a 42 hour reserve! Arabic numerals are featured on the dial. The precision cut dial looks very sharp against the Super-LumiNova cathedral hands. These hands are simply magnificent. The crowns are embossed with the Scuro logo. As well, the caseback has the Scuro logo and name engraved. The 20 ATM (200 meters) assures diving is indeed welcome! Bronzo is available in many configurations. 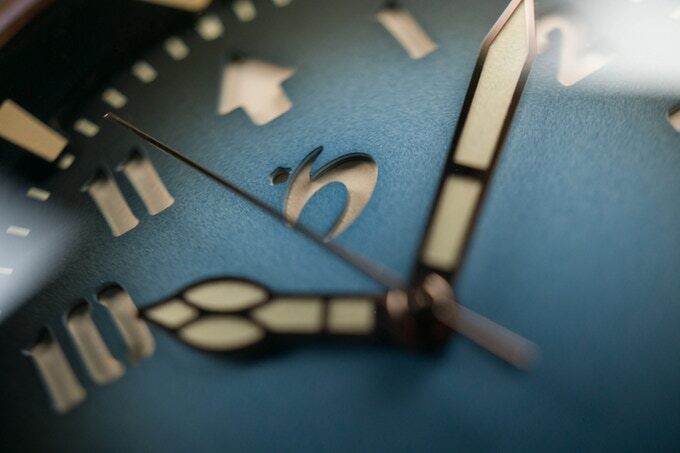 Dial choices include black, Burst Vintage Blue, and Burst Vintage Brown. It comes on a leather strap (black, brown) but you can order more. One very interesting option is a sapphire display caseback. Don’t need a date complication? Well, you can order one of those too. 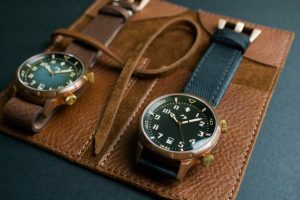 Standard orders also include a leather watch roll, but upgrades can be made there. All told, this is a handsome look at a very reasonable Kickstarter price. It will most assuredly rise once it goes on sale in full production, so get on this now! It’s pretty. Not too bad for an ‘off-the shelf’ piece. Now lets talk about serviceability, reliability and after sales service.